What is a Data Equity Walk? 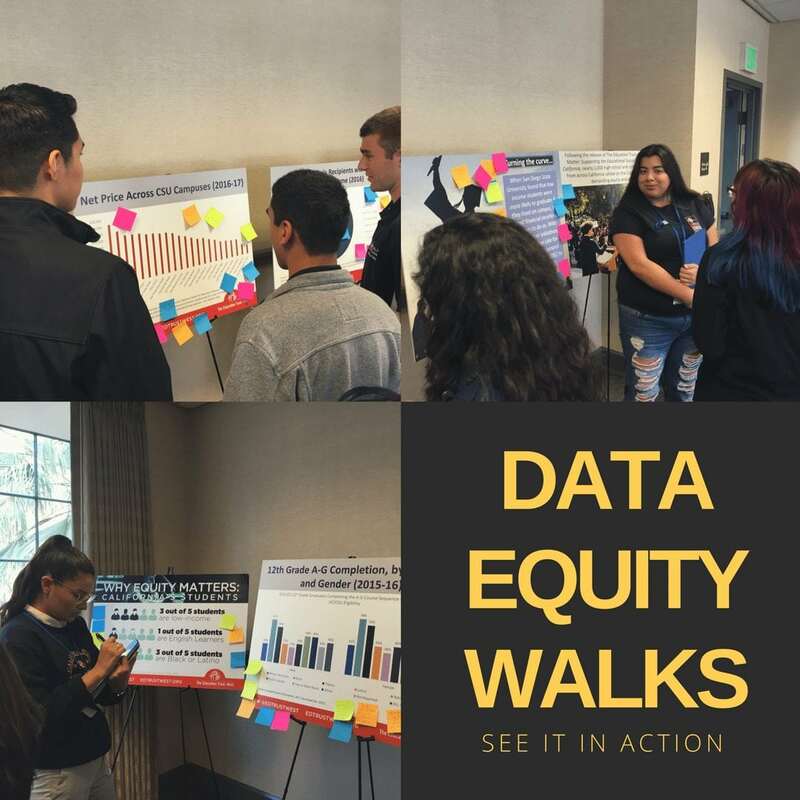 A Data Equity Walk is a 45-90 minute activity for any size audience – high school and college students, teachers, district leaders, community members, or others – to engage with education data and discuss equity issues. Participants dive into data that shows education outcomes and exposes gaps between groups of students. The data usually show district or school performance across different measures like student achievement and school climate. Participants explore the data individually before collectively discussing implications and identifying solutions to address disparities and improve outcomes. Data Equity Walk participation does not require prior experience with data and is geared toward all audiences. Depending on what resources you’re looking for, click on the links below to access editable planning documents as well as ideas to inspire the creation of your own Data Equity Walk. Remember, these are just optional resources to help you – there’s no right or wrong way of doing this! Why is the Data Equity Walk format impactful? How can a Data Equity Walk be useful to me or my organization? Data Equity Walks help activate people and create urgency around educational equity. 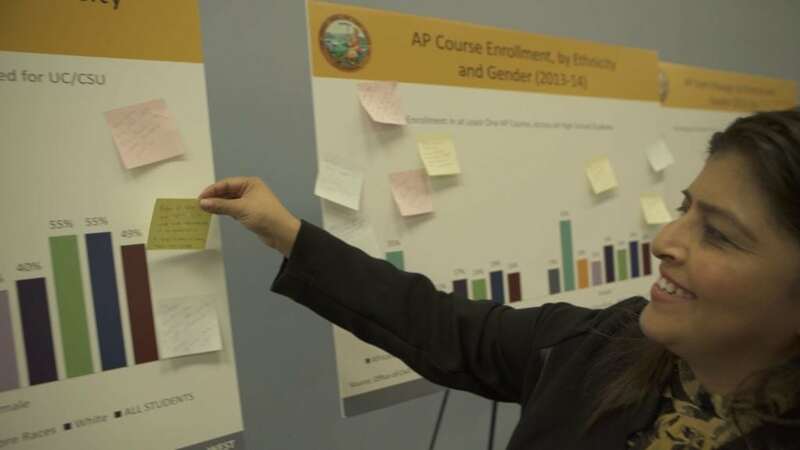 For example, The Education Trust-West created and facilitated a Data Equity Walk with two teacher recruitment organizations on a college campus. 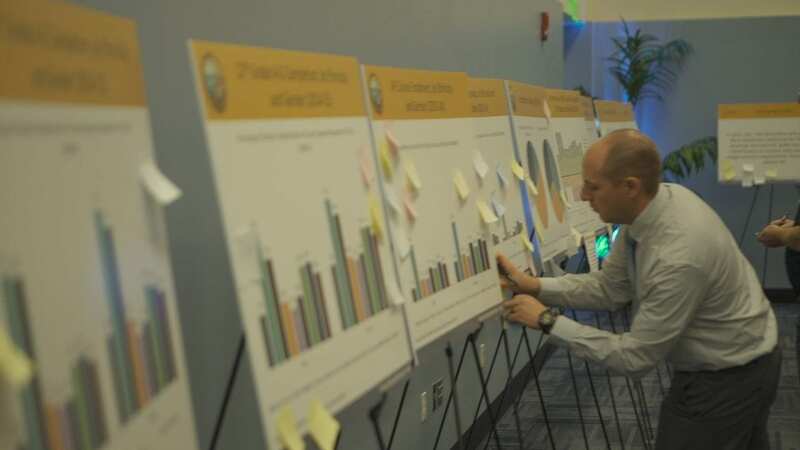 Through collaboration with other nonprofits and student-led organizations that helped draw participants to the event, college students engaged with data around achievement and opportunity gaps as well as teacher shortage issues. The conversations that followed prompted students to consider ways they might work to address the issues raised by the data, from campus conversations to tutoring to pursuing teaching as a career. 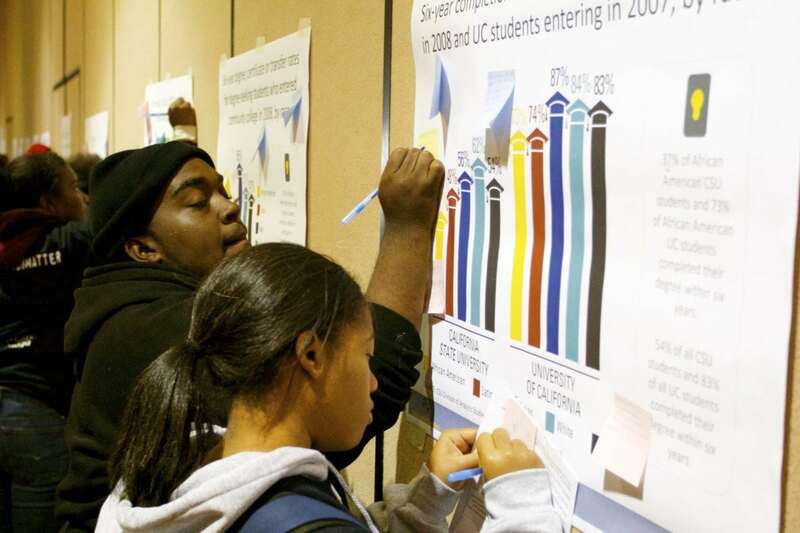 We also facilitated Data Equity Walks with over 800 high school and community college students as part of a Black Minds Matter rally in Sacramento. One byproduct of the rally was that the spirit of the day carried into classrooms in multiple school districts after that event, where students engaged in ongoing projects and events to support Black student success. What is the history of the Data Equity Walk program? The Education Trust-West launched the Data Equity Walk program in 2015. To date, Ed Trust-West has conducted Data Equity Walks up and down the state, for and with organizations ranging from county offices of education, to foundations, to community-based organizations. Thousands of participants have gone through the Data Equity Walk process, in groups of 20 to hundreds of participants. Why did Ed Trust-West create this toolkit? Data Equity Walks were designed to bring data directly to the stakeholders most impacted by educational inequities. Our goal is to reach as many people as possible in California in order to empower stakeholders with the knowledge needed to hold school, district, and the state leaders accountable for better student outcomes—and to support them in getting there. In addition to the Data Equity Walks Ed Trust-West has helped create and facilitate, this toolkit is designed to expand the power of the Data Equity Walk program by helping organizations plan similar experiences with their local stakeholders. Ultimately, we hope that by bringing data to local stakeholders, communities can create change at the local level. What is the target audience for a Data Equity Walk? The program is for civil rights groups, education advocates, educators, parents, students, community leaders, and anyone who is interested in learning more about data! Data Equity Walk participation does not require prior experience with data and is geared toward all audiences. Who should I contact if I have questions about these tools? Please contact Anthony Chavez, External Relations Associate, at achavez@edtrustwest.org.